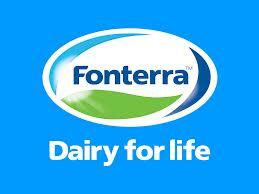 However, the processor is expected to revise this on December 9 according to DairyCo. In the last month several other New Zealand processors have cut their predicted prices, with Westland reducing by 40 cents to a range of $5.00-5.40/kgMS, Open Country predicting $4.70-4.90/kgMS and Synlait now at $5.00/kgMS. Here at home average producer milk prices will range between 24c/L and 26c/L in 2015, according to Irish Dairy Board (IDB) analyst Fergal McGarry.